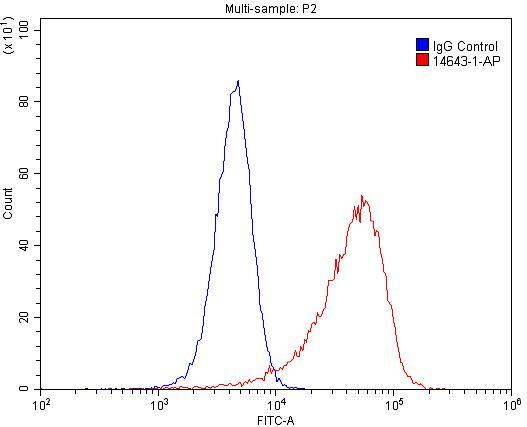 IP Result of anti-REEP5 (IP:14643-1-AP, 3ug; Detection:14643-1-AP 1:1000) with HeLa cells lysate 2400ug. 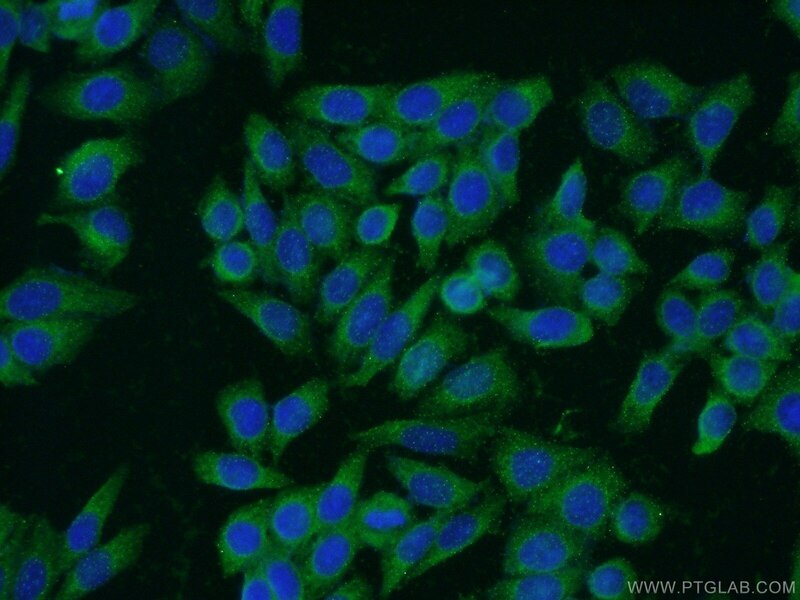 1X10^6 HeLa cells were stained with .2ug REEP5 antibody (14643-1-AP, red) and control antibody (blue). Fixed with 4% PFA blocked with 3% BSA (30 min). Alexa Fluor 488-conjugated AffiniPure Goat Anti-Rabbit IgG(H+L) with dilution 1:1500. 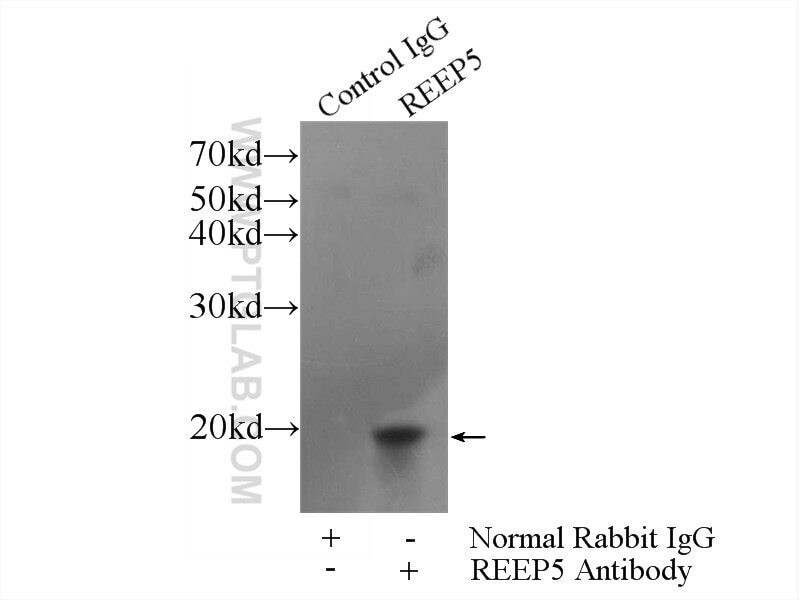 REEP5 (receptor expression-enhancing protein 5), also named as C5orf18, DP1 or TB2, is a membrane protein belonging to DP1/Yop1p protein family. 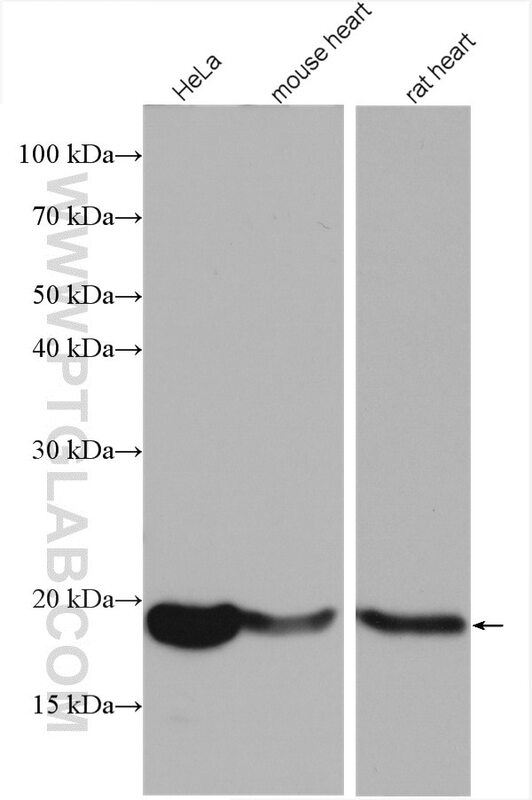 All REEP proteins contain a conserved TB2/DP1, HVA22 domain which is involved in intracellular trafficking and secretion (PMID: 19123125). REEP5 is expressed in circumvallate papillae and testis, and may have the function to influence functional cell surface expression of taste receptors (PMID: 16720576). REEP5 can interact with atlastins (ATL1 and ATL2) which are involved in modulating the structure of ER network (PMID: 19665976). Protrudin binds atlastins and endoplasmic reticulum-shaping proteins and regulates network formation. Spastin binds to lipid droplets and affects lipid metabolism. A high content screening microscopy approach to dissect the role of Rab proteins in Golgi-to-ER retrograde trafficking.